Owing to the immense experience and vast manufacturing facility, we are engaged in delivering a wide range of Desktop Articles. This range of desktop articles is available in a number of customized specifications in accordance with the diverse demands of clients. 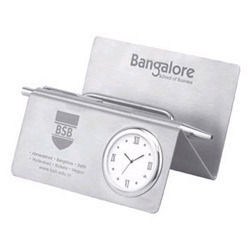 Along with this, the offered range is highly appreciated among the clients for its capability to keep cell phone, car keys, pen, watch and allied. We are looking for enquiries from Delhi and NCR. 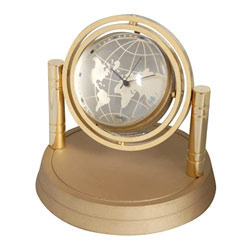 Our firm ensures to meet their demands and requirements of clients, we are engaged in delivering a superior range of Desktop Watch With Pen Stand. 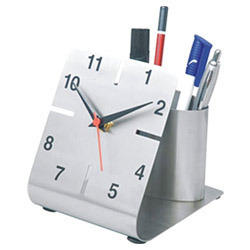 This range of desktop watch with pen stand is available in a number of customized specifications as per the diverse demands of honorable clients. 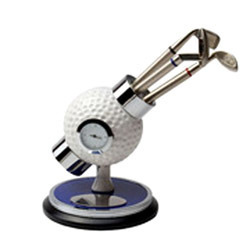 These products are developed using premium grade stainless steel, sourced from reliable vendors of the market. Looking for Desktop Articles ?